21 days (we overstayed by 12 days by the time our exit papers were processed in court). We crossed the border from Estonia and cycled directly to St Petersburg on the E20. We wanted to cycle the coastal road from the Estonian border to St Petersburg, but were told at a military check point that the road was close. They didn’t give a reason as to why. 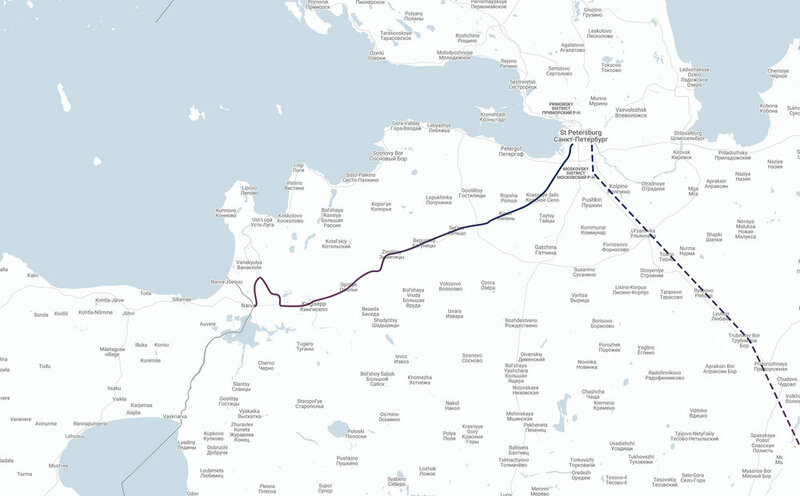 The plan then was to ship the bikes 6,000 km across Russia, from St Petersburg to Irkutsk, before catching the train. After collecting the bikes, we’d cycle on to Mongolia. Although, things didn’t quite go to plan. Warm and sunny. It never rained once! The people. 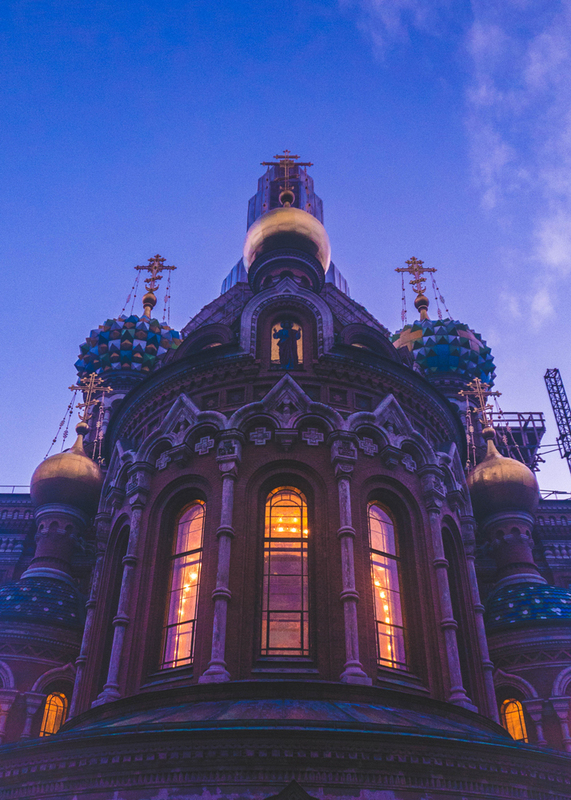 All the Russians we met were super friendly and helpful – and we never saw anyone drink vodka. All stereotypes were quashed. We tried to cook when we could, but we did eat out a lot. We would opt for accommodation with a kitchen, so we could at least cook one meal and brew coffee on a morning. Russian food is actually really good. We were addicted to Russian pies (pirogi) and dumplings (pelmeni) (images below). We had read you shouldn’t drink tap water, so we bought it. We brewed our own morning coffee when we had access to a kitchen. There was a great selection of ground coffee in every supermarket. We booked everything through booking.com or Air BNB. We always opted for the cheapest option. Only once did the gamble not pay off and we ended up spending one night in a grotty hostel. They had assumed Dan’s booking was for two males, and with no other rooms available, we were lumbered in a male-only dorm room. It was disgusting. We wild camped once just before we got to St Petersburg. We pitched up in an empty field just off the E20. We didn’t think anyone would pass through, as there was no road, yet this was the first and only time we got ‘caught’. Three groups of people walked past, yet nobody said or did a thing. The main road into St Petersburg isn’t much fun, but there’s not much choice – especially when there’s a military rock block stopping you leaving the E20. Surprisingly okay for cyclists. As a driver, however, I imagine it would be annoying as everyone insist on tailgating each other all the time. Bicycle Shop Chillengrillen – Fantastic bike shop in St Petersburg. Having cycled 5,500 km (including pre-trip kms), we had our bikes serviced here. They were super helpful and spoke English. I’m not sure we’re the right people to give advice on Russian visas after the mess we got ourselves into… but anyway. We used UK-based Russian visa company, RussianVisa.org, and they were useless – so avoid at all cost. They charged £278 for two 30 day tourist visas, which included the required Letter of Invitation. We bought the visas in London, 4 months before we intended to enter Russia. We had to go to the Russian Embassy to submit the application. We went with Megafon. They had the largest coverage across Russia and offered great data deals for 30 day SIMs. Simply take your passport to Megafone store and fill in a form. The process took around 20 minutes. We shipped the bikes and the majority of our gear from St Petersburg to Irkutsk using Dellin. It cost £44 for 90 kg (in 3 boxes) and took 7 days. We had to get help from a local to process the delivery order and the warehouse in Irkutsk charged us for a delayed pick up. We also posted our damaged tent fabric back to the UK using Russian Post. This was considerably more expensive considering the weight difference. The parcel weighed less than 1 kg and we paid £21.60. It did make it home though, so that’s the main thing. Russian Railways Passengers – Excellent app for booking Russian trains. You do not need to use a travel agency. Everything is in English and you can even process refunds if you find you don’t need a train anymore (we didn’t need a few after we got kicked out of the country…). Yandex Maps – Russian map app. Worked a treat. Yandex Taxis – Russian taxi app. Like Uber, but better. We were advised to not use Uber. Megafon – You can find data plans here. Open with Chrome to auto-translate. 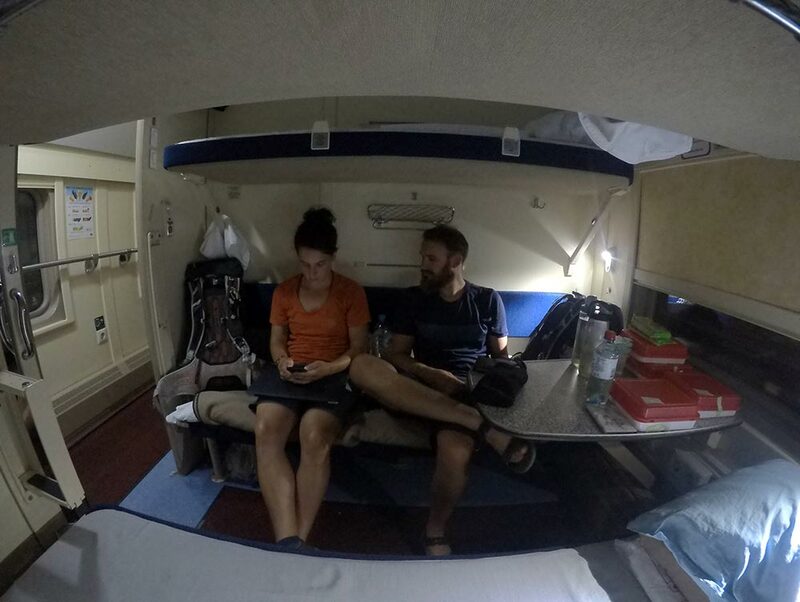 Seat 61 – Detailed information on The Trans-Siberian (and train travel in other countries). Nowitex – Translator (just in case). We rang so many. These were the cheapest and available at short notice. Off the Rails : Moscow to Beijing on Recumbent Bikes – Superb book about two guys that ride recumbent cycles across Russia in winter. On the trains, if there are two of you, try and book one upper and one lower bed. If you’re only one, book a lower bed. That way you’ll have somewhere to sit during the day. You can’t sit up on the upper beds; they’re like mobile coffins. Avoid people dressed as Disney/Pixar characters. It’s a scam. They encourage you to take pictures and then harass you for money. Cheeky buggers even asked for our water bottles as payment instead of cash. They were also very stoned.